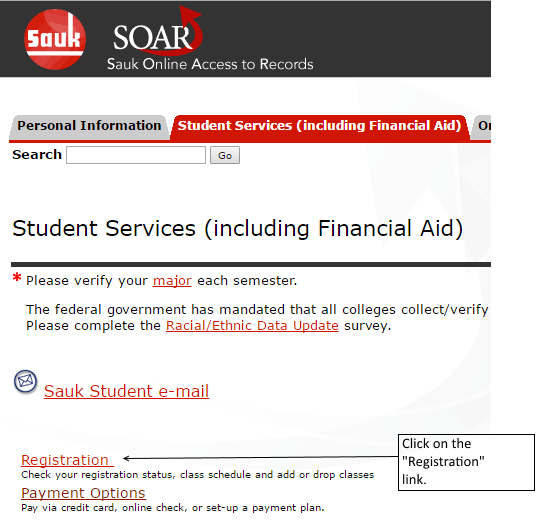 The Registration main menu will appear. 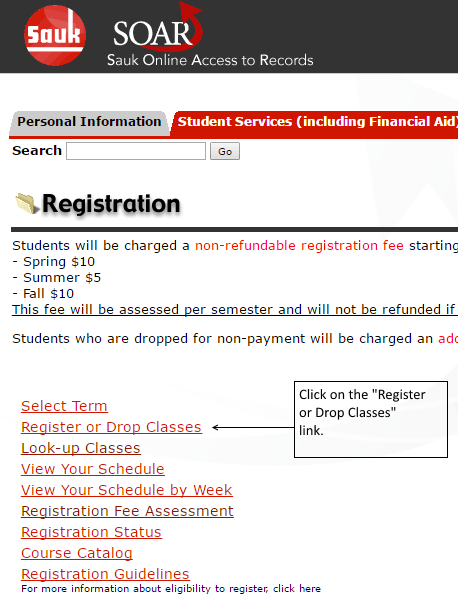 Click on the "Register or Drop Classes" link. 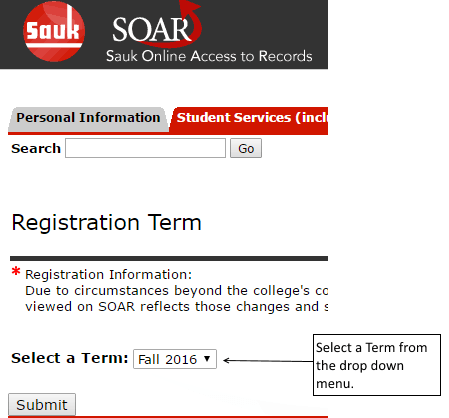 Next, Select the Term you would like to register for. 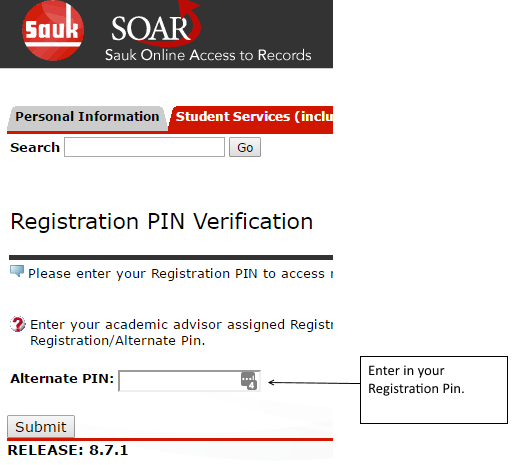 *** You may be prompted to enter your Registration PIN. If you do not have a PIN, See your SVCC counselor to obtain one. 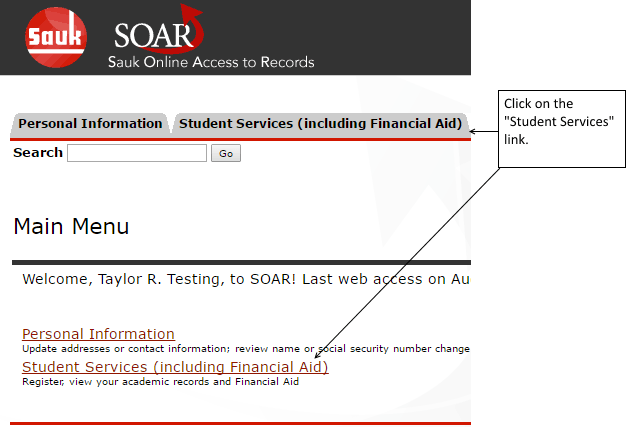 Enter your six digit PIN number in the space provided then click the "Submit" button. Enter the CRN numbers in the spaces provided. You will need to scroll down to see the classes you added. Notice your classes have been added. 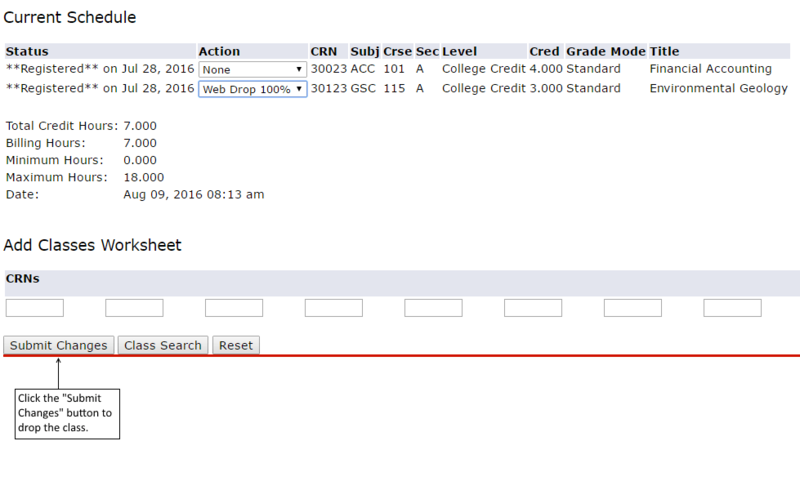 To add more classes, simply enter in more CRN numbers. Choose "Web Drop 100%" from the drop down menu. Next Click on the "Submit Changes" button. Scroll the page down to view your changes. Notice your class has been dropped.